John Brown (1800-1859) was an ardent proponent of abolition. He helped many fugitive slaves to escape by following the Lane Trail while he lived in Kansas. This photograph was taken in September 1856. The image was collected by Ohio State University professor Wilbur H. Siebert (1866-1961). Siebert began researching the Underground Railroad in the 1890s as a way to interest his students in history. The Kansas-Nebraska Act was passed in 1854 by the United States Congress to deal with the opening of Kansas to continuing American settlement. By 1852, white Americans desired to move into the area that comprises modern-day Kansas. Many white farmers coveted the land along the Kansas and Platte Rivers, believing that it would make profitable farms. Businessmen and farmers alike also desired a transcontinental railroad. Many of these people favored a route passing through Kansas. A railroad across the United States would allow Eastern industrialists a cheaper and faster way to transport their products to the burgeoning population of the West. It would also allow Western farmers an easier means of transporting their crops to the major cities of the East. Two problems existed for the people desiring the white settlement of Kansas. First, the federal government had promised this territory to American Indians. Before white settlement could take place, government officials had to break previous treaty agreements and uproot and forcibly relocate American Indians -- many of whom had already made the grueling journey from traditional homelands in the East. Secondly, this territory was part of the Louisiana Purchase Territory. Under the Missouri Compromise of 1820, the land that would become the Kansas and Nebraska Territories had to be "free states" where slavery would not be permitted. Many white Southerners opposed this provision. They hoped to maintain a balance in the United States Senate to prevent the passing of laws that might affect slavery across the rest of the United States. Until California's admittance to the United States in 1850, the North and the South had maintained an equal number of senators from "slave" and "free" states in the United States Senate. The North currently had the advantage in the Senate. Due to its greater population than the South, the North also had control of the United States House of Representatives. If Kansas and Nebraska were opened to settlement and became free states by the Missouri Compromise, many white Southerners feared that they would never be able to regain an equal balance with the North in the Senate. In 1853, Illinois Senator Stephen Douglas proposed creating the Nebraska Territory. The House of Representatives quickly passed the bill, but the Senate refused to vote on the measure. Southern senators informed Douglas that slavery must be permitted in the Nebraska Territory or they would not support the bill. Douglas knew that such a bill would outrage many white Northerners, including his own constituents. Douglas introduced a rewritten version of his bill in 1854, this time stating that the eligible voters in the territory would decide for themselves whether or not to allow slavery. Allowing the voters to decide the issue was known as popular sovereignty. While Southern senators liked this bill much more than Douglas's original version, they still feared that Nebraska would become a free state. In yet another version of the bill, Douglas called for the creation of two territories, Kansas and Nebraska, and also explicitly stated that the Missouri Compromise would no longer remain in effect. Southern senators accepted this bill. Not only did the repeal of the Missouri Compromise open the entire Louisiana Purchase Territory yet to become states to slavery, it also gave Southerners two opportunities to create two slave states out of Kansas and Nebraska. While Douglas had now gained enough support to pass his bill in the United States Senate, he faced opposition from President Franklin Pierce. Pierce believed that the Missouri Compromise had kept peace between white Northerners and Southerners, and he did not want to repudiate a government act that had worked so well. Several Southern senators visited Pierce in the White House and gave him an ultimatum, either support Douglas's Kansas-Nebraska Act or lose all political support that the president currently enjoyed in the South. Pierce gave in to the senators. Many white Northerners opposed the Kansas-Nebraska Act in its final form. Salmon Chase, a senator from Ohio, denounced the bill. Believing that slavery violated Christian precepts, some opponents objected to slavery on moral grounds, while other people simply did not want to compete economically with slave-owners if slavery was permitted in Kansas and Nebraska. All of the bill's opponents, whether on economic or moral grounds, objected to the possible expansion of slavery. The bill passed both houses of Congress. Most members of the Democratic Party endorsed it, while members of the Free Soil Party condemned it. The Whig Party's members split along regional lines with Northern Whigs opposing it and Southern Whigs endorsing the legislation. The Whig Party collapsed as a result of the regional divisions caused by the Kansas-Nebraska Act. In Ohio, the Kansas-Nebraska Act led to the creation of the Fusion Party, a precursor of the Republican Party, in 1854. The Kansas-Nebraska Act also led to "Bleeding Kansas," a mini civil war that erupted in Kansas in 1856. Many Northerners and Southerners went to Kansas in 1854 and 1855, determined to convert the future state to their view on slavery. To ensure that their respective side would win, both Southerners and Northerners, including Ohioans like John Brown and Henry Ward Beecher, advocated the use of violence. The divisions between North and South were widening and would eventually lead to Civil War. Etcheson, Nicole. Bleeding Kansas: Contested Liberty in the Civil War Era. Lawrence: The University Press of Kansas, 2004. Fellman, Michael. Inside War: The Guerrilla Conflict in Missouri During the American Civil War. New York, NY: Oxford University Press, 1989. Foner, Eric. Free Soil, Free Labor, Free Men: The Ideology of the Republican Party Before the Civil War. New York, NY: Oxford University Press, 1970. Holt, Michael. The Political Crisis of the 1850s. New York, NY: Wiley, 1978. Rawley, James A. Race & Politics: "Bleeding Kansas and the Coming of the Civil War. Lincoln: University of Nebraska Press, 1979. Roseboom, Eugene H. The Civil War Era: 1850-1873. Columbus: Ohio State Archaeological and Historical Society, 1944. DeCaro, Louis A., Jr. Fire from the Midst of You: A Religious Life of John Brown. New York: New York University Press, 2002. Dee, Christine, ed. Ohio's War: The Civil War in Documents. Athens: Ohio University Press, 2007. McArthur, Debra. The Kansas-Nebraska Act and "Bleeding Kansas" in American History. Berkeley Heights, NJ: Enslow, 2003. McPherson, James M. Battle Cry of Freedom: The Civil War Era. New York, NY: Oxford University Press, 1988. Nichols, Alice.Bleeding Kansas. New York, NY: Oxford University Press, 1954. Oates, Stephen B. To Purge This Land with Blood: A Biography of John Brown. New York, NY: Harper & Row, 1970. Villard, Oswald Garrison. 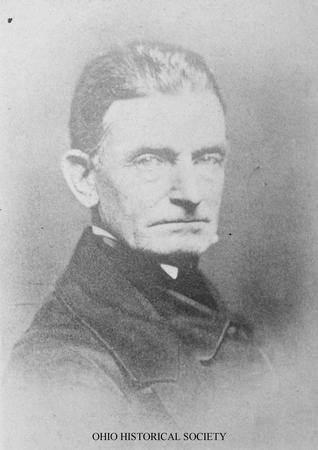 John Brown, 1800-1859: A Biography Fifty Years After. New York, NY: A.A. Knopf, 1943.